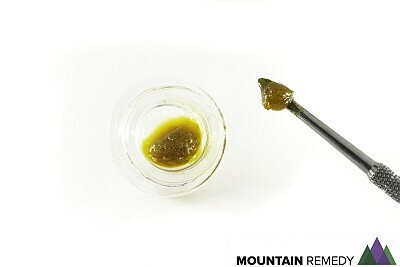 Live Resin extract is made from plant material that hasn't been dried or cured. Perfect for dabbing or topping your bowl with! Sugar Cookie is a relaxing indica-dominant hybrid with an aromatic sweetness that is likely to have influenced this strain’s name. Sugar Cookie is a three-way cross between Crystal Gayle, Blue Hawaiian, and Sensi Star, together passing on the resinous qualities of a Northern Lights ancestor along with tropical fruit and berry flavors. Your new favorite midnight snack may just be this indica Sugar Cookie, as it delivers a deep, full-body calm before lulling you into deep sleep. ** All prices include a 15% CA Excise Tax, Oakland Local Tax (since we are licensed out of Oakland), and your local Sales Tax!